Financial institutions always look for many ways to lend money to their customers because by charging interest on debt they make their money. But, with so many loans available now, sometimes it can be hard to know which loan is best for you. The below mentioned explanations make this issue clear for you. 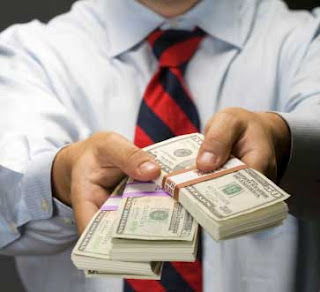 Personal Loan: The main support of financial institutions is the personal loan. As the name itself says, personal loans are money taken from a financial institution for personal use. In most of the cases, a personal loan is always unsecured, which means you are more likely by paying interest premium. Once the personal loan is provided, you can repay it every month to the lender. This is multipurpose loan actually speaking. Auto Loans: This is a loan where you take money to buy a vehicle or car from a financial institution. In many cases auto loans are arranged by the car dealer, but you can always get it arranged by your bank before buying a vehicle or car. Majority of auto loans have to be repaid in monthly installments. Sometimes, the financial institution will provide security on your loan with the vehicle, which means if you are not able to repay the loan for some reason they will take the possession of your car. One extra expense with auto loan is that many lenders force you to get completely comprehensive insurance while your auto loan is outstanding. Home Improvement Loans: As the name itself says, home improvement loans are something where you ask a lender to give you money so that you can make improvements on your home. In most situations a home improvement loan is given on the condition that you provide the lender a mortgage of second rank on your house.